Adobe Stock Contributor Site allows creatives to easily sell their illustrations, vectors, and more. 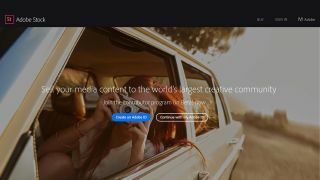 Adobe has launched the public beta of the Adobe Stock Contributor Site, a new platform that enables creatives to upload and sell illustrations, vectors, photos and videos to the world’s largest creative community. Adobe Stock was launched last year following the design software giant's acquisition of stock content provider Fotolia, with its key feature being integration with the Creative Cloud. This meant that designers could access stock images and more directly within software including Adobe Photoshop CC, InDesign CC, Illustrator CC, Premiere Pro CC and After Effects CC, enabling them to add watermarked images to their Creative Cloud Libraries, and then access and work with images across multiple desktop tools before licensing the image without leaving the creative application. Creatives can also contribute work to Adobe Stock, with Adobe claiming that it offers industry-leading rates, while giving creatives unique access to a global community of stock content buyers via its suite of design apps. And now the Adobe Stock Contributor Site adds two new features designed to make submitting content to Adobe Stock even easier. The first new tool is suggested keywording, which uses machine learning technology to automatically generate the first five keywords of each image you submit. When you upload an image, an algorithm analyses it and generates keywords from images similar to yours. Those keywords are reordered by relevancy and the top five are displayed for you to review, edit and reorder. This great time-saving feature is currently in beta, so its accuracy will improve as the contributor community uses it. Adobe Stock contributor submission has been integrated directly within Creative Cloud applications, in order to supercharge your productivity right from where you create, saving you time and reducing friction. Adobe reckons that around 85 per cent of creatives who buy stock content use Adobe tools – and more than 90 per cent of stock content sellers use Adobe software in the preparation of their photos and images. During this beta phase, you can upload images to Adobe Stock directly from Lightroom CC and Bridge CC – and Adobe has simultaneously announced an update to Lightroom, ushering in Lightroom CC 2015.7 and Lightroom 6.7. Find out more about the Lightroom updates here. Watch the video below to find out more about the new Adobe Stock Contributor Site, or head to Adobe's HelpX page for Stock Contributor.